Let's practice writing equivalent expressions by using the distributive property. 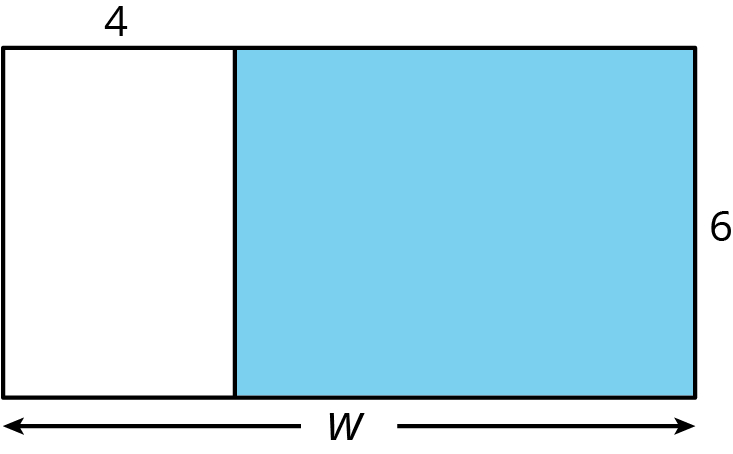 A rectangle with dimensions 6 cm and $w$ cm is partitioned into two smaller rectangles. Explain why each of these expressions represents the area, in cm2, of the shaded portion. Match each expression in column 1 to an equivalent expression in column 2. If you get stuck, consider drawing a diagram. The distributive property can be used to write equivalent expressions. In each row, use the distributive property to write an equivalent expression. If you get stuck, draw a diagram. 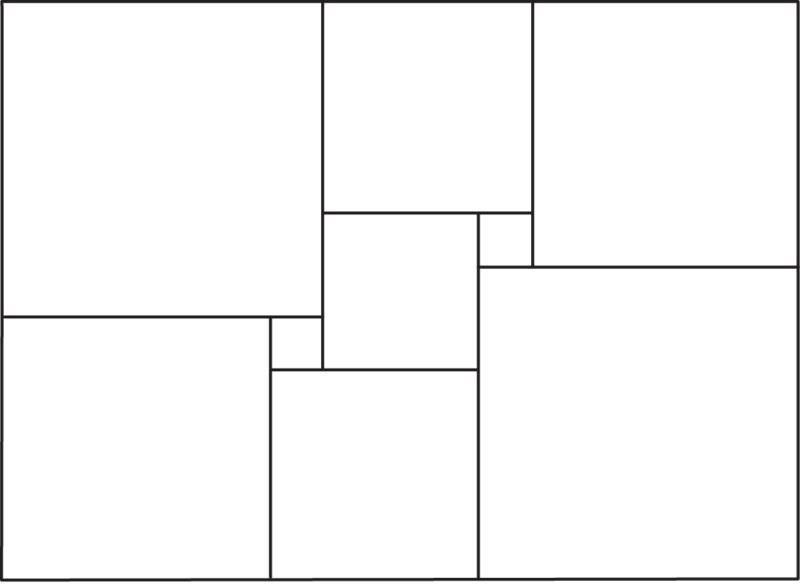 This rectangle has been cut up into squares of varying sizes. Both small squares have side length 1 unit. The square in the middle has side length $x$ units. Suppose that $x$ is 3. Find the area of each square in the diagram. Then find the area of the large rectangle. Find the side lengths of the large rectangle assuming that $x$ is 3. Find the area of the large rectangle by multiplying the length times the width. Check that this is the same area you found before. Now suppose that we do not know the value of $x$. Write an expression for the side lengths of the large rectangle that involves $x$. The distributive property can be used to write a sum as a product, or write a product as a sum. You can always draw a partitioned rectangle to help reason about it, but with enough practice, you should be able to apply the distributive property without making a drawing. Here are some examples of expressions that are equivalent due to the distributive property.